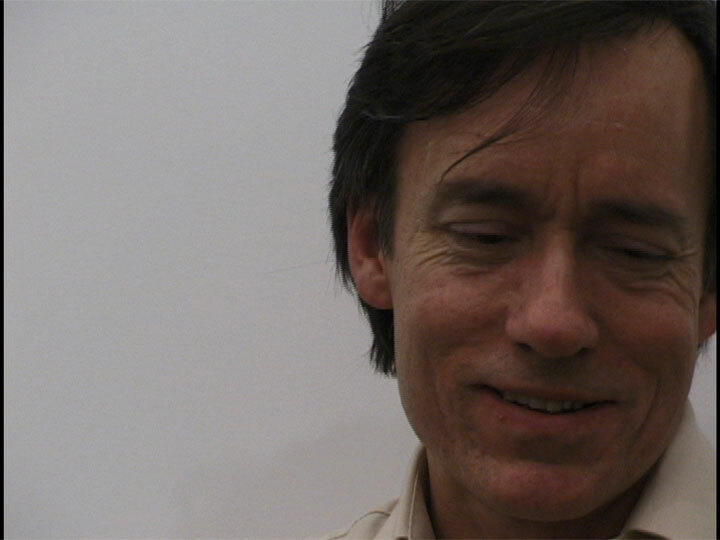 In this 2002 interview, filmmaker Joe Gibbons (b.1953) discusses his early work and the path that led him to an interest in both narrative and experimental film. Gibbons recalls how exposure to P. Adams Sitney’s Visionary Film: The American Avant-Garde while at Antioch College would compel him to begin making his own structural films. Describing his appreciation for the directness and immediacy of experimental filmmaking, Gibbons discusses a subject’s relationship with the camera as one characterized by intense intimacy. Thinking through this idea of intimacy provided Gibbons with an avenue to explore ideas of trust and disclosure in his films. Gibbons describes his method of adopting different personae that project comically psychopathic confessions upon the camera. The artist concludes by discussing how this interest in comedic confessions of morbidity and dysfunction continued through his later collaborative work with artists Tony Oursler and Emily Breer. Interview conducted by Kate Horsfield in January 2002, edited in 2013.